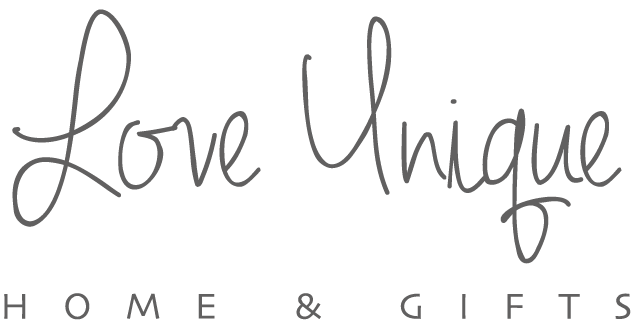 Love Unique Boutique was opened in February 2015 by Joanne Finch a hard working mother of two beautiful children. The idea of Love Unique Boutique was to stock and sell a few items part time aside of her former job. After a few weeks Love Unique Boutique outgrew her living room and home, and then it finally dropped Love Unique Boutique was already on the right path to become a well known & respected company. After only a few weeks the Facebook page likes went from 100 to 3,000 over night. Joanne left her original job and moved the business into a location where she could make it grow, selling the most Gorgeous Shabby Chic, Vintage, & Every day Home ware products, lights & accessories, Perfect finishing touches for your home, wedding and garden. From day 1 Joanne has always prided herself at providing top quality customer service ensuring every customer receives a pleasant buying experience. Single-handedly replying to peoples emails, queries, messages & comments on all social media platforms working day & night, 7 days a week. Joanne would also ensure orders were well packaged & nicely presented for delivery, helping Love Unique Boutique maintain the great reputation it has today. After only 4 months she employed multiple members of staff and had to move location again due to the rapid expansion of the business. After another 4 months with the hard work from herself and her excellent team the company was ready for another move! This time we was sure the new location would be plenty of space for growing! We was all wrong! After a year we all packed up and moved to even bigger location we fit perfectly in it right now! In just 2 year she gained over 240,000 Facebook page likes and over 31,000 Instagram followers. Joanne has worked hard to source the right suppliers with the right items for us and you. We only order items that we adore and would be happy to receive as a gift ourselves. The fantastic work the team & her husband put in to Love Unique Boutique has been a massive part of Joanne’s Journey, she admires each and every team member at Love Unique Boutique and knows they are a huge part of the company and brand. Meanwhile during this massive journey Joanne also created Love Unique Personal, This company is currently run by her husband with the help of his team! Together They continue to source new stock and workshops, offering other small businesses the opportunity to sell with them too!